Are you interested in learning more about Charlotte Mason homeschooling? Catherine Levison is the author of three books on the Charlotte Mason homeschool method. In part 1 of our interview, she discusses the advantages of using this home school approach. Read the following for tips on implementing CM methods in your home school. What are the roles of tests, textbooks and workbooks in a Charlotte Mason homeschooling? Very little. We are not dependent on workbooks or textbooks and we do avoid them for the most part. However, please bear in mind what I said in the above answer because there are many families who combine the textbook method and the CM method. I did for a time. I used textbooks for several subjects and I simultaneously used Charlotte Mason homeschooling methods such as art appreciation and narration and much more in a half-and-half style. This works very well for the beginner who wants direction about "what" to cover. Textbooks help with that and bring security for many who wonder what the other sixth graders are learning. Let me also add that at times I come across a really good workbook that fits a current need perfectly. I would add that into my day, not avoid it just for principle's sake. What are living books, and what role do they play in Charlotte Mason homeschooling? I have been defining these for years. I think the easiest way to remember what a living book is can be boiled down to the word "life." Somebody is alive in the book and when people live they have experiences that are human. Human events include birth, accomplishments, even death. When you or I or your children read a textbook entry about the crossing the USA on the Oregon trail they are apt to get bored and forgetful about the material. The opposite of that is a "living" book about the Oregon trail where the reader is able to make an emotional connection to the people in the book. They begin to care about the pioneers and what they eat and how they travel and then the reader remembers the material covered almost perfectly and without much effort. Retention is the key. None of us want to waste time trying to "learn" only to forget. Living books are far more interesting and because we want the child to retain knowledge, we want to avoid boring books. What is narration, and what role does it play in Charlotte Mason homeschooling? The brief explanation is this: Regardless of what the subject matter is or how long you covered it simply ask the child to tell you what they now know about it. A parent could read a book to a child for a mere ten minutes and then ask the child to tell you what was just taught. Or you can teach your child how to divide fractions for eight weeks and then ask them to teach you how to divide fractions. Narration is used in many different ways and I have explained those in my books and on my website. Check www.CharlotteMasonEducation.com and select the Narration article for a little more information. Why does Charlotte Mason homeschooling emphasize short lessons? Short lessons bring results. Charlotte wrote that if you want the child to remember then secure his entire attention. We do that with short lessons. We have less time to cover topics than what some would call normal but we let the children know there is only a short time for this topic and in some cases we set a kitchen timer. This really wakes the children into alertness and it works very well. I have more details at the website and in my second book, "More Charlotte Mason Education." Thousands of parents have gone out of their way to let me know how well short lessons has worked for them. It is something to learn about and then give it a chance. You can always go back to long lessons if you do not get good results. What advice do you have for parents of kinesthetic learners who are concerned about the lack of hands-on activities in Charlotte Mason homeschooling? The CM method takes into account auditory learners, visual learners and kinetic learners. There is something for each group and we try to bring non-auditory learners some improvement by practicing "how to" listen through the narration technique. The Charlotte Mason homeschooling method is very good for busy, active children because the Short Lessons are designed to bring variety. One way we structure our Short Lessons is to have a very busy and physically active time followed by a quieter learning time. We then switch again to something active and then something more passive. We also design our short lessons to alternate between something new and challenging with something the children already know how to do but need to practice. Handwriting is a good example of that. After the short lessons we dismiss from school at lunch time and we make every effort to go outside each and every day. We encourage "free-time" for the children to be children and this time is for them to do constructive things of their own choosing. We parents provide the paint, the wood and other raw materials and then allow the child to use them, for example. We are very hands-on in the area of math as well. We always use concrete items to teach math because it works. First the concrete, then the abstract. Math is difficult enough for many children, we need to liven it up and make it easier to understand using real items. What advice do you have for parents who are overwhelmed at the prospect of foregoing traditional teaching techniques and materials? Another good question for which I have an easy answer. Don't. Do not give up anything that brings you some comfort and yet attempt to balance your needs with the concept of creating children who love to learn. Keep all the traditional materials, etc, that you want and only add in Charlotte Mason homeschooling methods a little at a time. This brings a lot of parents comfort because they want to cover the traditional subject matter. If you become more comfortable then launch out. You do not have to write your own curriculum and anybody who suggests that to a new homeschooler is not speaking wisely. Be realistic and know how you lean. If you like traditional methods then you will excel at teaching that way. I strongly lean toward traditional teaching methods and because of that I started with an all text book method in my home. I made the change to Charlotte Mason homeschooling methods because I burned out on the textbook method and I needed to find a solution to that burn out. I also learned that Charlotte Mason's method is not inferior to the traditional methods as I slowly made the change. What should parents look for when choosing Charlotte Mason homeschooling materials? There will always be a boring book on marine animals and a more interesting book on marine animals. Choose the more interesting. Look for real diaries that real people wrote about their lives because they will have put more passion and excitement into their writing than the typical textbook entry. I have included book lists into my books. My third book is an annotated book list and also has suggestions for other supplies that a homeschool ought to have on hand. I also included a scope and sequence of what the USA is typically covering grade by grade for ideas of what subjects to cover. How do Charlotte Mason homeschoolers measure success? We measure success on the knowledge that a child can exhibit when speaking or writing. We do not allow "cramming" and do not encourage that at all. The narration process develops into the writing mode. From the age of ten until the age of eighteen we assign written narrations to the children where they get a chance to tell us what they know about any given topic. I am narrating right now. I am telling you what I know about Charlotte Mason homeschooling all without looking on-line or in a book or at any notes. All my answers have come from my knowledge that I have stored in my mind. That is exactly how our homeschools work. Examinations at Charlotte Mason's schools were conducted using written and verbal narration and you can read some examples in the six-volume set of education books that Charlotte Mason wrote. They are very impressive. For a "paper trail" many parents keep the written narrations in files. These will cover government, literature, science, religious studies, history, etc., and they are very good practice for essay writing that will become a part of the child's college experience. Not to mention, life is a narration in the sense that all professions use it. Plumbers who explain to you the condition of your pipes are narrating. The doctor you visit is narrating when he summarizes your condition. Lastly, Charlotte Mason reminded us that we are raising a "person" and the more of a person we "turn out" the better the worker will be at any future occupation. Be an individual and do not copy anyone else. Do not worry about what other homeschoolers are doing. If you could only be a fly on their homeschooling wall you would see the reality of what daily life is like. Be realistic about your days and your expectations. Be prepared to find too many materials to purchase, too many choices to make. Do not sign up for every homeschooling event in your area. Divide all of the school subjects into two groups. The core subjects and the other group; knowledge. Subjects like spelling, math, phonics need to be taught at age level. These can be called "skills." It is unlikely that any of your children will be at the same exact "level" at any given time. Accept that and teach each child the skills right at their level. For all other topics think of them as "knowledge" and teach all of your children the same subject matter all at one time. When the time to cover elephants comes along then the all the children will be covering elephants. When you want to learn about the colonization of American then all your children can do the same thing together. Expect the younger child to be at a different learning capability and learn different things than your highschool student will but do go ahead and take the subject on as a group. This will save you time and will cause your younger children to stretch their minds. And that is yet another element of a Charlotte Mason education. The stretching of the mind and introducing your children to challenging material. Catherine Levison, mother of five, has home schooled since the 1980s. She began researching the Charlotte Mason homeschooling method over seventeen years ago. After long and careful consideration she began implementing the method full-time in her home school. Catherine authored A Charlotte Mason Education a how-to manual designed for easy understanding of Charlotte Mason's educational methods. Also available is a sequel to her first book, More Charlotte Mason Education. Her third and newest book, A Literary Education is an annotated book list for home schooling families. 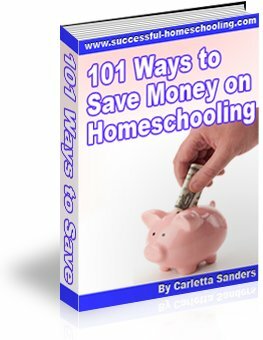 Catherine regularly speaks to home schooling audiences nationwide and internationally. Her website is www.charlottemasoneducation.com. Follow this link for a brief summary of Charlotte Mason homeschooling techniques. Follow this link for information about choosing a Charlotte Mason curriculum.